Taken from Tunnel View. We stopped to admire the incredible scenery one last time. 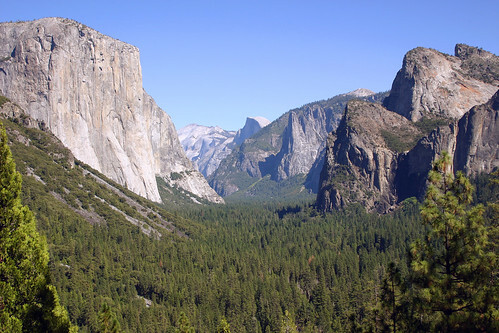 This entry was posted on March 21, 2008 at 8:18 pm and filed under Bridalveil Fall, California, Cathedral Rocks, El Capitan, Half Dome, National Park, Sierra Nevada, Tunnel View, vacation, Yosemite, Yosemite National Park, Yosemite Valley.